There are 26 taps, and Texas beers currently occupy two-thirds of them. 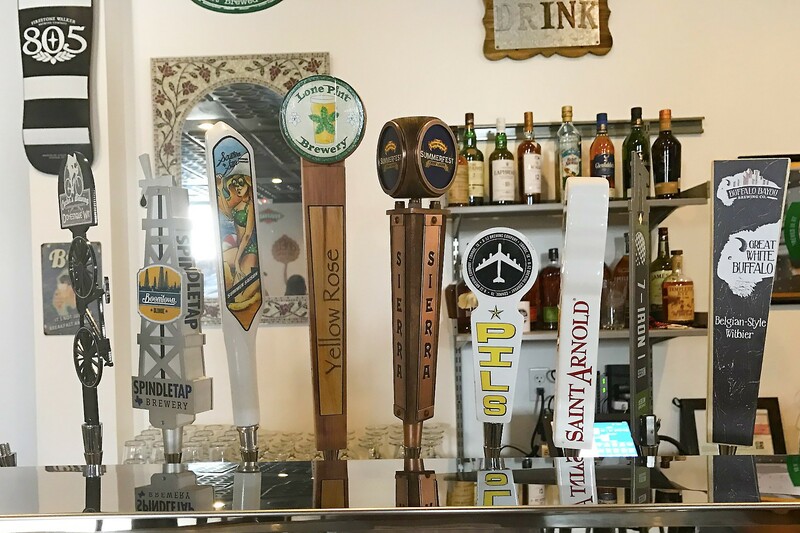 Saint Arnold, Spindle Tap, Brash and 8th Wonder all have multiple handles while leaving plenty of room for other local breweries like No Label, 11 Below, Southern Star and Lone Pint. Unlike YardHouse, which rarely changes its list, taps at The Branch will rotate often due to the kegs being 7.75 gallon “slim-sized,” each storing just over 60 pints. “There are thousands of craft breweries in the US, and we want to showcase as many as we can,” says Pierson. There will be a few constants, though. Mixen expects Lone Pint’s Yellow Rose to always have a home, as will the Dirty Branch, a customized version of 8th Wonder’s Premium Goods, an abbey-style dubbel brewed specifically for the bar. “Grandpa Bob’s Fridge” stores a variety of mostly local, easy-drinking cans of beer for only $4, and Mixen has plans for a second fridge that will hold a plethora of Belgian bottles. Cabezut has put together a menu that pulls from a variety of cuisines. From Mexico are Chiles en Nogada (pork stuffed poblano peppers) and Nachos with Pork Carnitas. The Bulgogi Bisteca highlights Asian flare, while the Gochujang Beef Jerky pays a salty, spicy homage to Chris Shepherd and The Hay Merchant’s Gochujang-sauced wings. Other options include a Cured Salmon Plate with smoked labneh, PEI mussels steamed in witbier and Beef Tenderloin Steak Tartare. 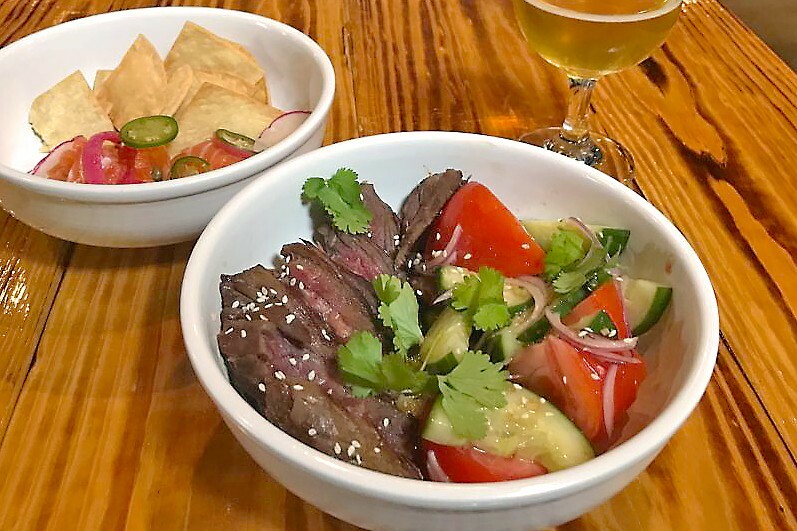 Perhaps noticing complaints about a former westside gastropub’s lack of lighter options, Cabezut also offers four vegetarian selections, including marinated tofu and heirloom tomato salad, and carrot hummus. Calling themselves “focused on and driven by the community,” prices here are definitely friendly. Beers range from $4 to $8 and are further discounted during the 3 to 6 p.m. weekday happy hour. Teachers in the community also receive a 10-percent discount. Other specials include discounted wine by the glass and well drinks. Pierson brags about having quality liquors in the well with Jack Daniels as the house whiskey and Dripping Springs (which won Gold Best in Class at the 2008 International Wine & Spirit Competition) as the vodka. On the shelves, The Branch showcases a sizable selection of bourbon, rye and scotch—lures for professionals in the Energy Corridor who want to unwind after the daily slog. Whiskey is priced to move, with pours of Bulleit at $7 and Johnny Walker Blue Label at $35. 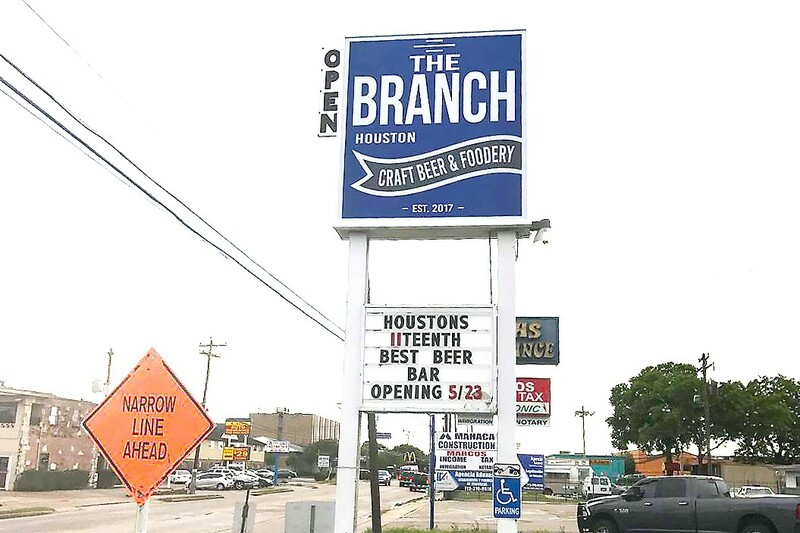 Pierson and Mixen say that The Branch isn’t a dive bar; that it’s just a fun and friendly one where customers should feel welcome whether coming in casual duds or straight from the office. It is family-friendly until 9 p.m., then it becomes strictly age 21-and-up. 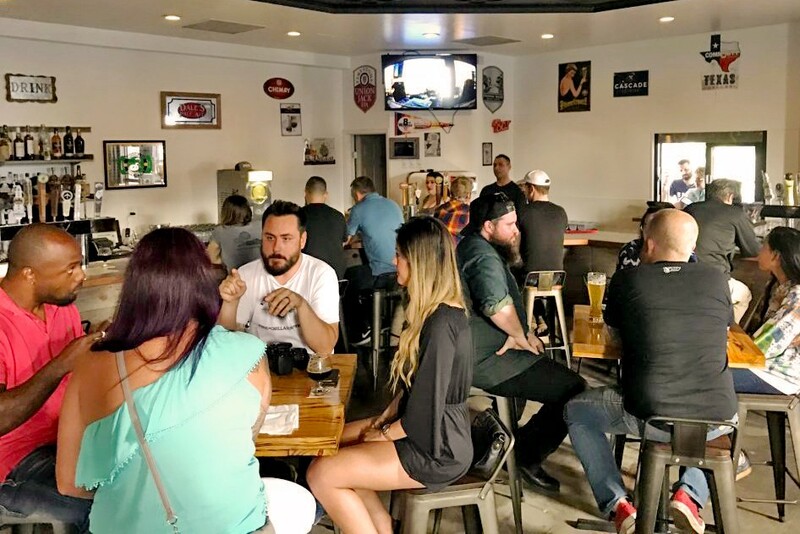 With walls covered in beer paraphernalia, comfortable seating indoors or on the 900-square-foot patio, friendly staff and the Astros game on the multiple screens, The Branch just might be the proverbial diamond in the rough. I’ve been through this twice and I don’t see the address, so I looked it up. 7710 Long Point. Between Antoine and Wirt. Good spot. Thanks, Chris. We had a few readers flag us that the address was missing and just added it. Sorry for the oversight!